​ What is in it for me? A different class each week created just for you. We all know we should but why? Your class should suit your personality and your needs. It should not be a chore or a 'tick list' of exercises. FLEXIBILITY - the ability of a joint or joint complex to work to its full range of movement. 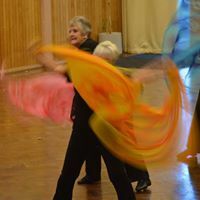 As we get older it is essential that we 'keep moving'. 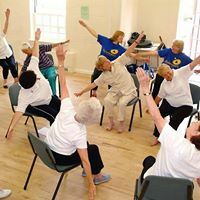 EXTEND classes focus on functional movements of the shoulders, spine, hips and knees as well as the small bones in the hands and feet, encouraging every joint to move as far and as smoothly as possible. 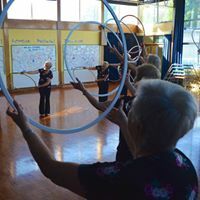 At Medau the apparatus helps us to work every joint through its full range of movement, for example the width of the hoop encourages the body as it moves through and into a variety of wide stretches using the music so taking the joints through their full range of movement. MOTOR SKILLS - the ability to perform a range of skills such as balance, coordination, speed, agility, power and reaction time. Increasing the complexity of the movements challenges the brain . Developing good coordination is really important, simple things like changing weight from one foot to another, throwing and catching a piece of apparatus, working in time to the music and developing patterns of movement improve motor skills. 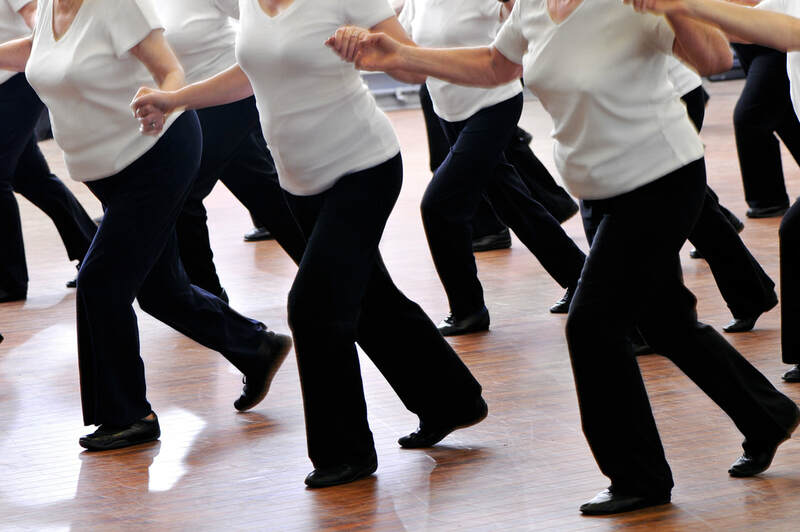 With tongue twisters for the body - and brain - carefully choreographed routines to a variety of music and tempos the EXTEND and Medau classes will challenge your motor skills in a fun way without any anxiety or stress. CARDIOVASCULAR FITNESS - the ability of the heart and lungs to take in, transport and utilise oxygen. Working the whole body and moving to different types and speeds of music, increasing the speed and intensity of the work , encourages a good and safe cardiovascular workout. You do not need to run or jog to work your heart! Well thought out exercises will give you a full-body strength and cardio workout while sitting in a chair. Chasing after balls, working with hoops and swinging clubs give a great whole body work out. MUSCULAR STRENGTH- the ability of a muscle or group of muscles to use maximum force. Using apparatus for fun but also as a weight. A hoop or a weighted gymnastics ball may seem light but after a while you realise you are working the muscles! Swinging a club, swaying from side to side will work not just your legs, feet, arms and shoulders, but your core and hands! MUSCULAR ENDURANCE - the ability of a muscle or muscle group to perform continual repetitions, this is being able to do more without needing a rest means you get more done and have energy left over for other, more important things. Each week you should be able to 'do that little bit more' and the classes should leave you nicely tired but not too exhausted so you can't do your shopping!